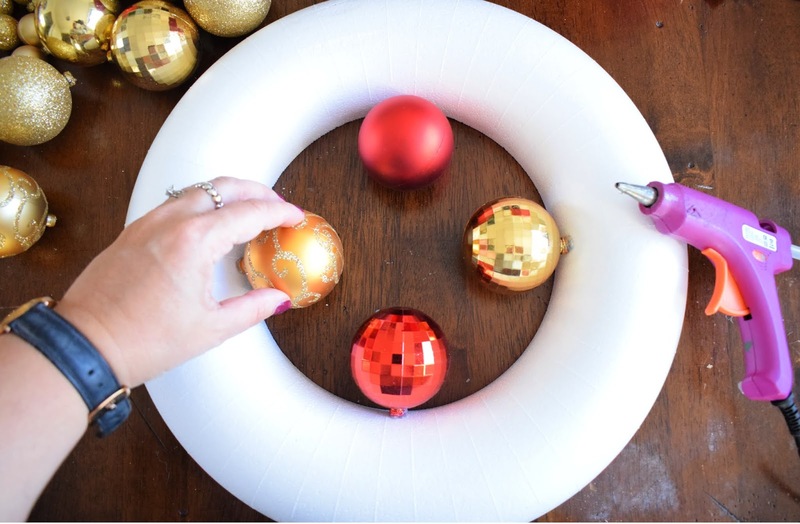 While in a Pinterest black hole one evening, franticly adding pins to my many Christmas boards, I came across homemade wreaths, and bauble wreaths really grabbed my attention, they look so striking yet are such a simple idea, and fairly easy to assemble. I am so happy with how my attempt turned out, I thought I would share it with you, so you to can get a bit crafty this Christmas. 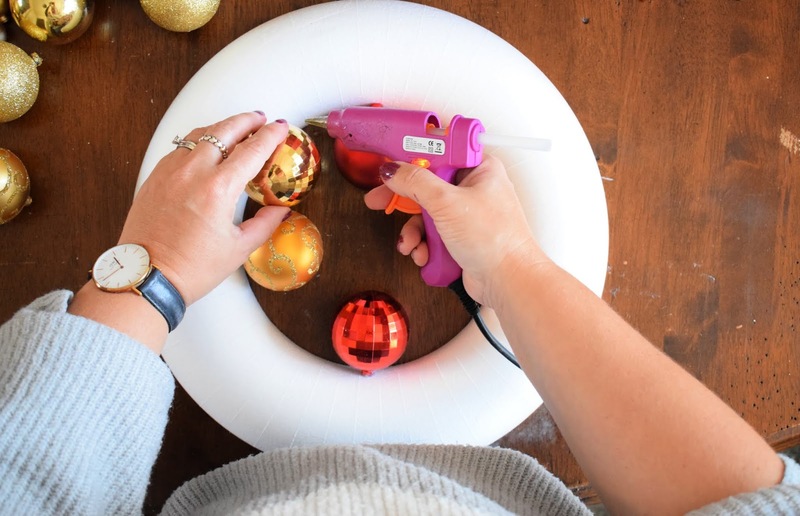 The premise is simple, simply cover the polystyrene ring in baubles, first you will need to remove the hook from each ornament, making them easier to glue to the ring. 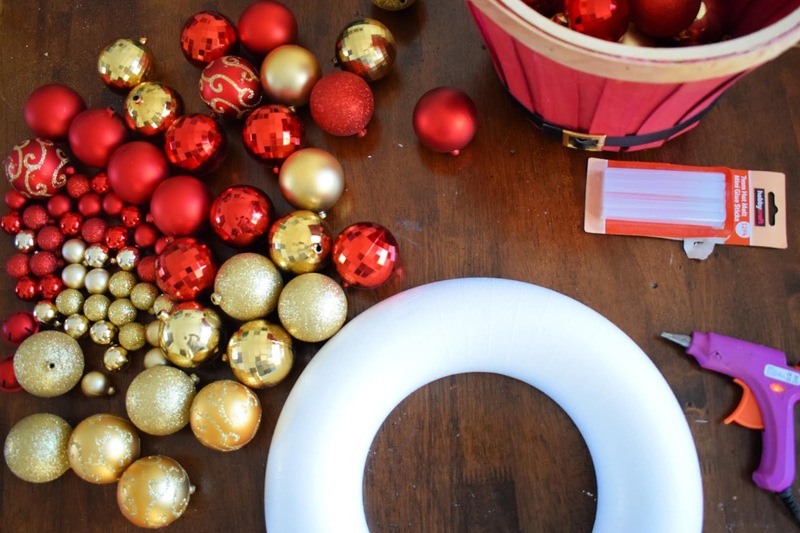 I advice starting from the inside of the ring, filling in the gaps as you go, using the various sizes to hide the polystyrene, adding different styles and colours really adds depth and interest to the wreath. 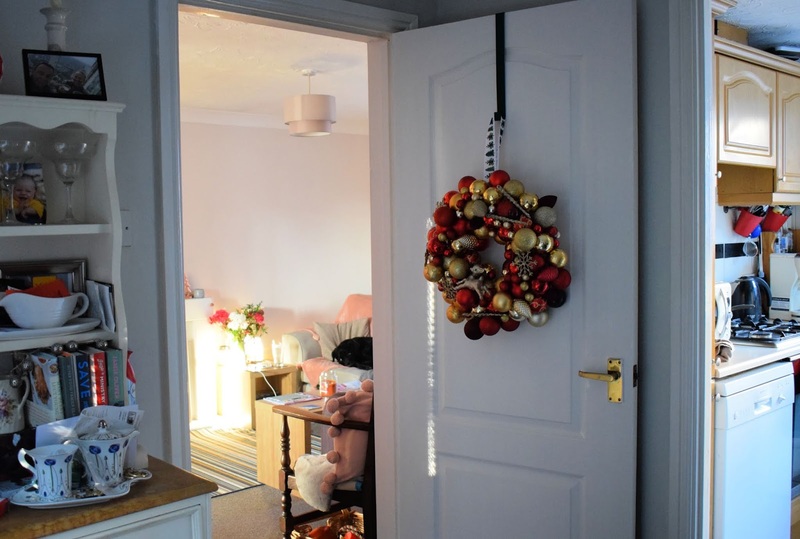 Add a ribbon to hang it and there you have a stunning hanging bauble wreath, to hang inside or outside your home, or skip the ribbon and prop the wreath on a shelf or fireplace. 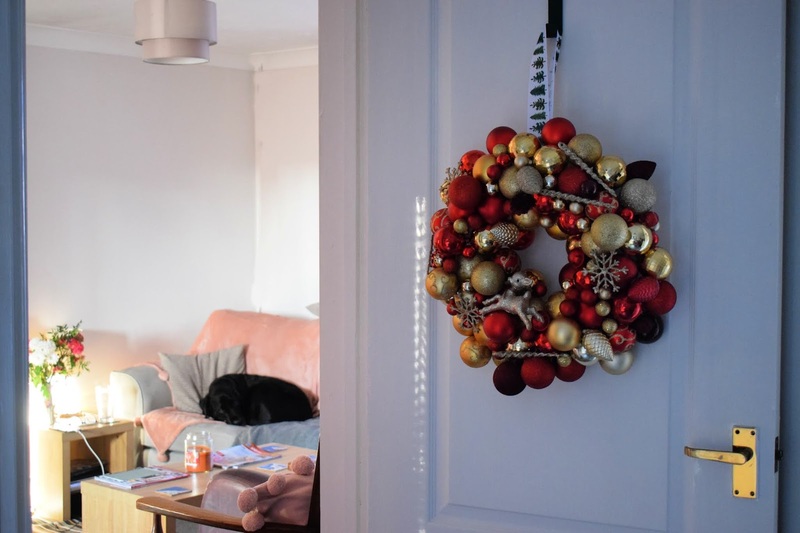 Make the bauble wreath in any colour way you fancy, you don't need expensive ornaments, I used some old baubles from my Christmas box, plus a couple of £1 packs I picked up in Tesco. I used more baubles than I expected but hey ho that gives me an excuse to buy new ones for the tree, ours where looking a little tired tbh and this gave them a new lease of life. This looks SO good! I'd love to do some arts and crafts over Christmas and this seems relatively simple!